The Bay Drift Study launched on September 12, 2016. 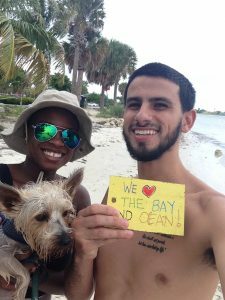 More than 120 volunteers simultaneously released 320 drift cards, 160 drift plates, and 15 GPS drifters from 8 locations across Biscayne Bay. 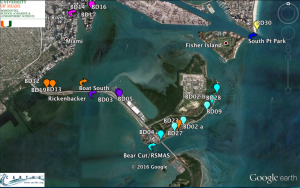 Within the first 10 days, we received a 10% response rate from the drift cards, and the GPS tracks have provided a fantastic glimpse at the circulation in Biscayne Bay. 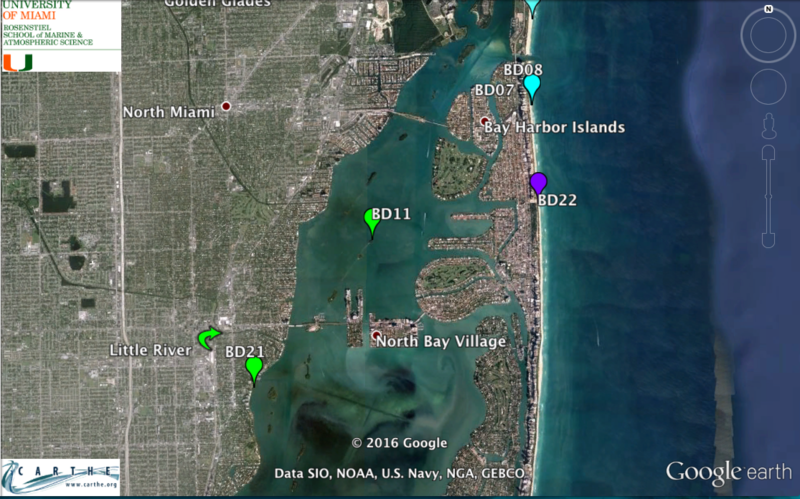 The Bay Drift drift cards have been found from as far south as Virginia Key, as far north as Sunny Isles Beach. Below is the full range as of September 25, 2016. Below we have zoomed in on 1) northern Biscayne Bay, 2) downtown Miami and Miami Beach, 3) Rickenbacker Cswy and Virginia Key so you can see the release sites and recovery points in better detail. 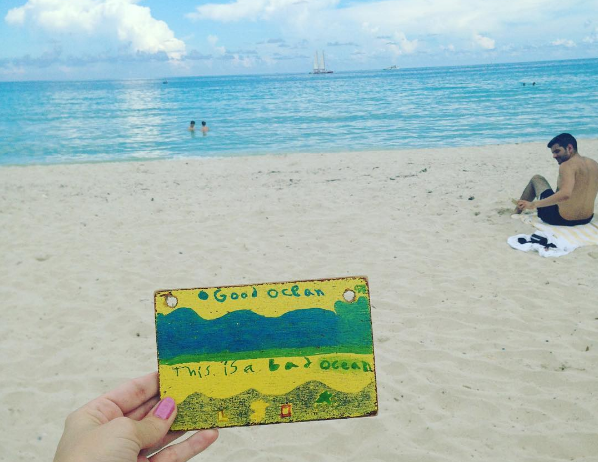 It is important to point out that most of the cards were found on beaches. 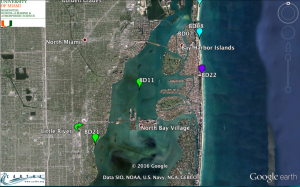 Areas with seawalls, mangroves, or rock shorelines may not have as many cards reported due to the infrequency of foot traffic in those areas. This is why it is important to also have the GPS-equipped drifter tracks. Below are the tracks of the CARTHE drifters from Sept 12 to Sept 20, 2016. There are 3 additional release dates scheduled (December 2016, April 2017, June 2017). 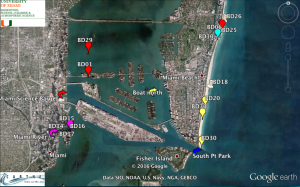 To get involved in the Bay Drift study, please contact us at BayDriftMiami@gmail.com. To report a drift card, please post a photo to Instagram using #BayDrift, tag your location, and include the data and time. 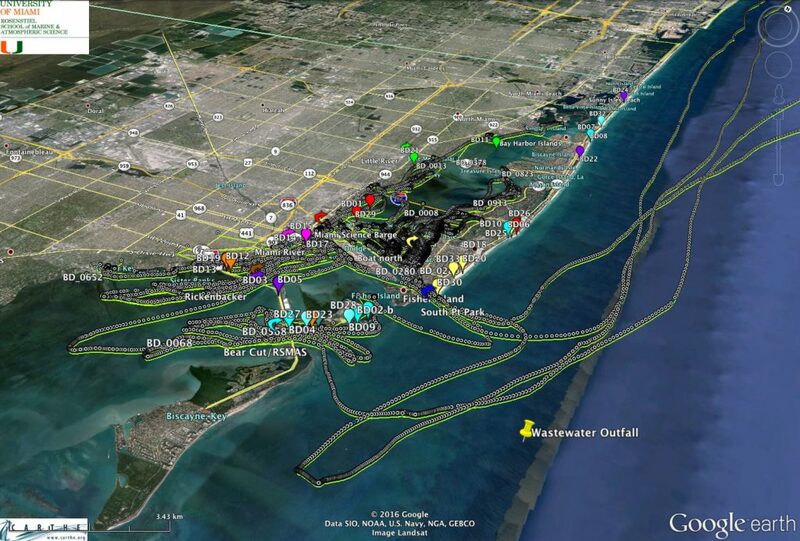 Alternatively, you can email the information and a photo to BayDriftMiami@gmail.com.